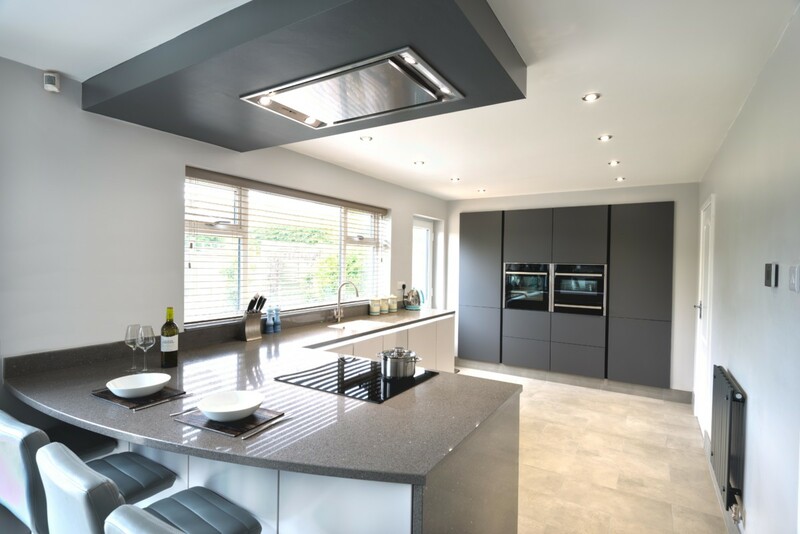 Modern Nobilia Kitchen Designed in Slate Grey Supermatt, Satin Grey Supermatt, Silestone stellar grey with seamless white Silestone integrity sink. Greys are the in colour. 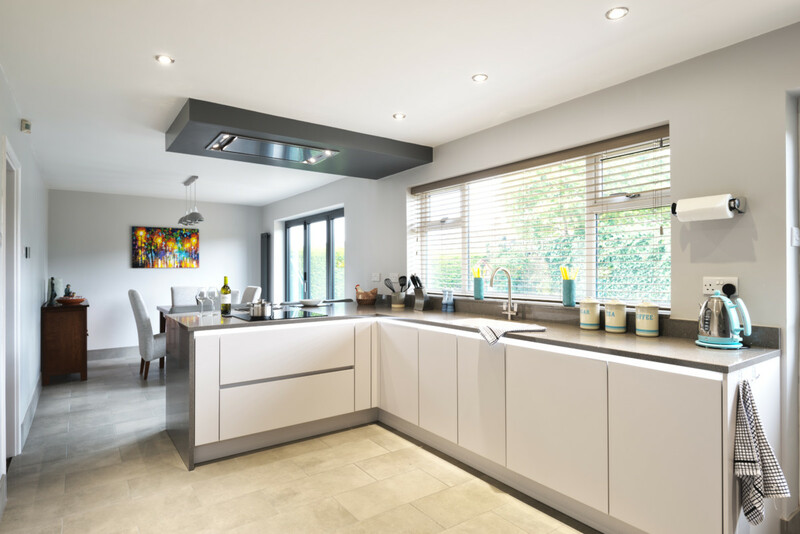 Modern and timeless, this kitchen area combines subtle high quality features with a practical layout. 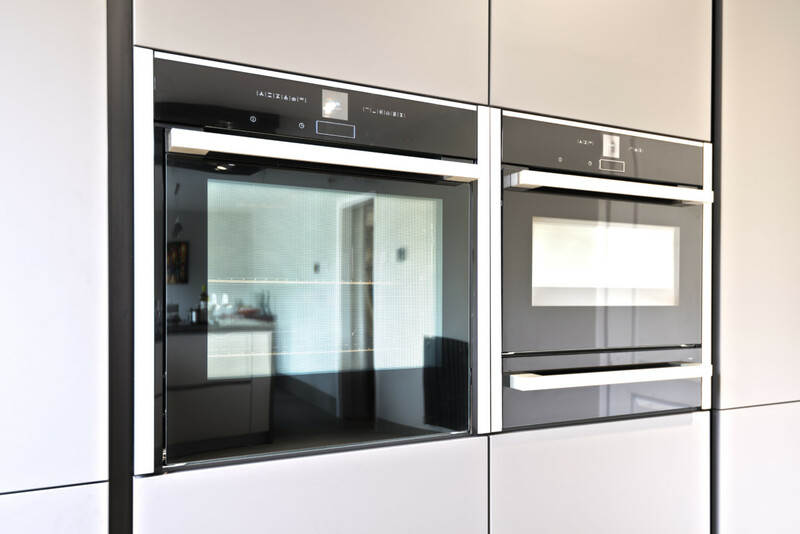 The tall punched in bank in slate grey houses top of the range Neff appliances, along with ample storage. The black inset handle rails help to create the perfect symmetry. The lower units showcase Satin Grey, one of the most popular colours in the range, with a colour matched handleless rail with LED emotion dimmable lighting – this is a bespoke add on which has a interchangeable mood lighting ranging from warm white to cool white. 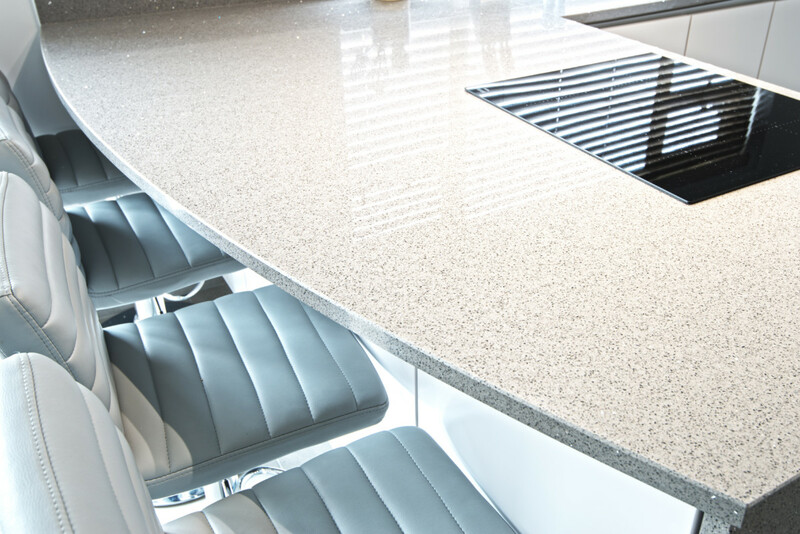 The Stellar Grey Silestone worktop flows into the window cill and returns to the floor, along with the sweeping curve over the back of the peninsula. This creates a sociable area for entertaining guests and a focal point, drawing people to seating on this side of the island frees up the person cooking to move around the kitchen unobstructed, whilst still being involved and not hidden away. 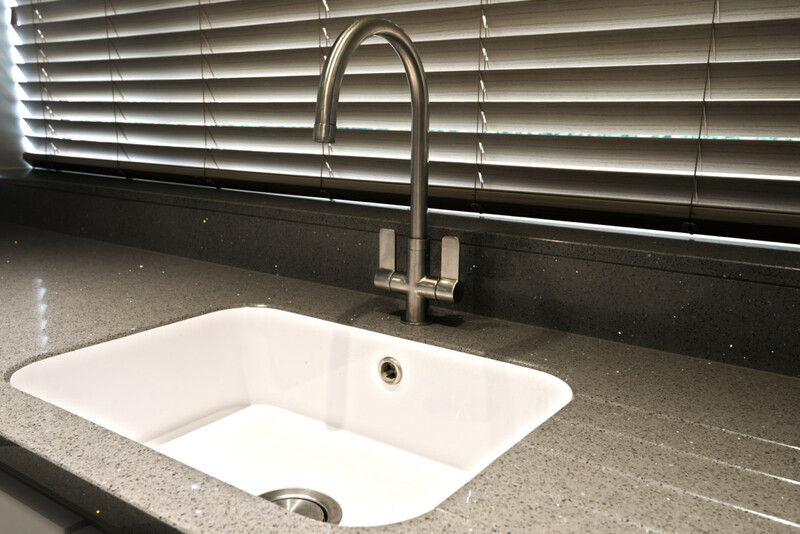 The Silestone integrity sink is a alternative to an under mount sink, a solid formed structure which is factory installed into the stone, seamless, practical and classy.